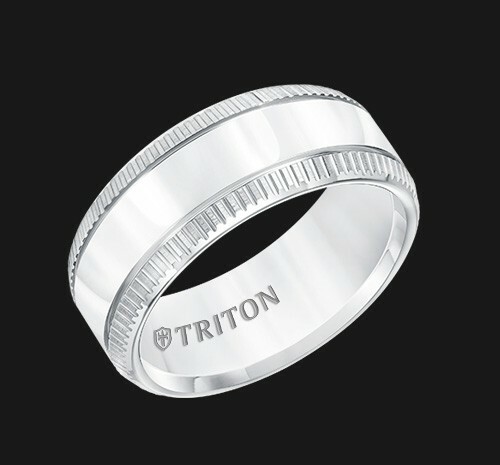 Men's 9MM wide white Triton tungsten wedding band. This comfort fit band has a high polished center and deep grooved edges with a satin finish. 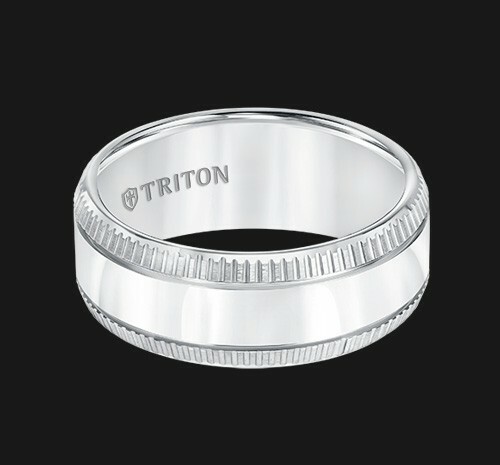 All Triton rings are warranted against imperfection in design, materials or workmanship and are also covered by their FOREVER Fit warranty, which includes a lifetime ring size exchange. If your ring finger size ever changes, Triton will resize or replace your ring for as long as you own it for a shipping and handling fee.